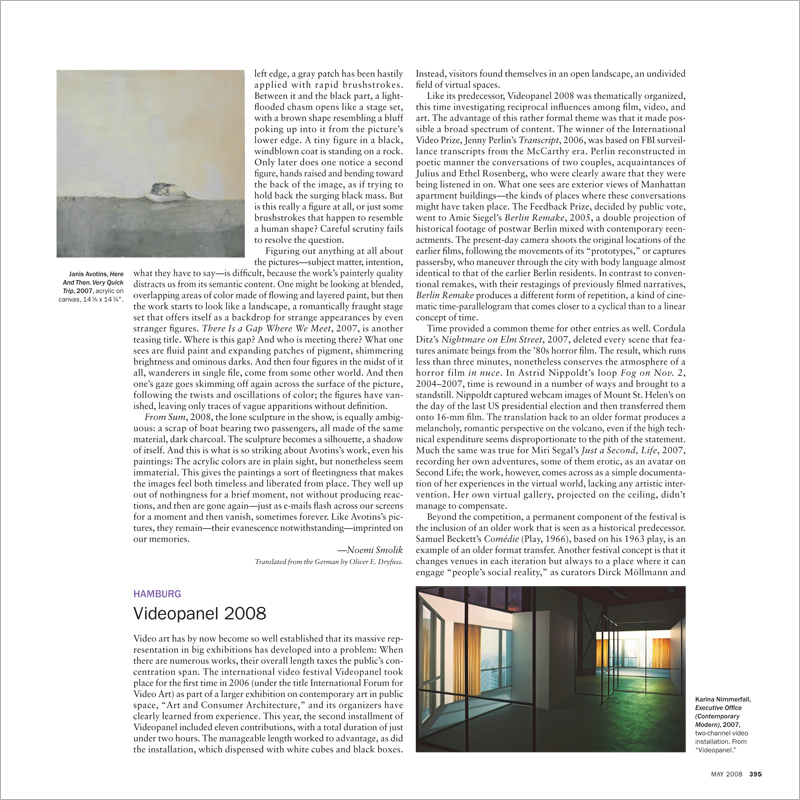 Video art has by now become so well established that its massive representation in big exhibitions has developed into a problem: When there are numerous works, their overall length taxes the public’s concentration span. The international video festival Videopanel took place for the first time in 2006 (under the title International Forum for Video Art) as part of a larger exhibition on contemporary art in public space, “Art and Consumer Architecture,” and its organizers have clearly learned from experience. This year, the second installment of Videopanel included eleven contributions, with a total duration of just under two hours. The manageable length worked to advantage, as did the installation, which dispensed with white cubes and black boxes. Instead, visitors found themselves in an open landscape, an undivided field of virtual spaces.